Vintage Timeless Coffee serve a wide variety of coffees plus bistro fare. Tables are a little too close. Vintage Timeless Coffee is located in a strip mall in West Edmond (actually OKC). We arrived at lunch time and I was expecting the worst. 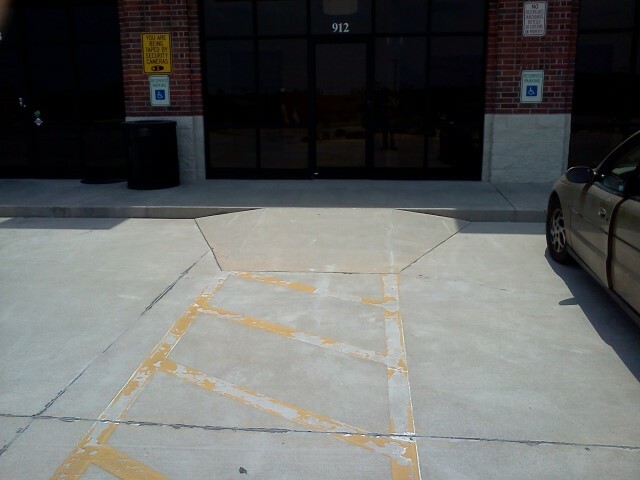 All too often I’ve pulled into a strip mall only to discover Disabled Parking and ramps in bad condition or dangerous. That was not the case here. 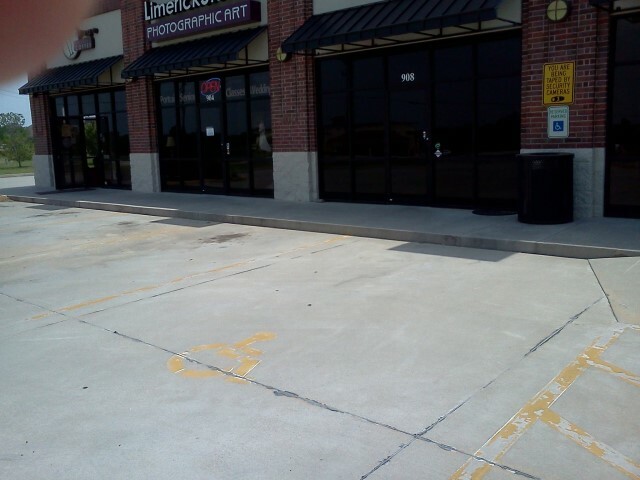 There were two large Disabled Parking spots adjacent to the building. And there was a large loading zone in the middle of the spots. The ramp was not too steep for me to wheel up myself. I wouldn’t recommend that to others. I just wanted to see if it could be done. Getting inside was easy. You order your drinks and/or meal from a large menu set behind fairly high counter. But there were printed menus and you pay at a different counter that is lower. I was able to sign my credit card slip with no problem. The tables and chairs were a little too close together. We had to move our table a bit for me to get in. After we got settled I was able to get out and back in without much effort. It is necessary, however, to re-park yourself as if you were in a parallel parking spot and my chair is not equipped with that fancy self parallel parking radar. But I’ve always been pretty good at parallel parking. And that’s a small price to pay for what was ahead. The bathroom. There were no zig zags needed to get to the bathroom, which is single occupancy. And we all prefer that, correct? Best of all, the door remains open when the bathroom is not being used. The door does have a self-closing mechanism, but it was slight. And when you leave you can push the door back to its original opened condition. Even if the door was closed, it would be easy to open. One of the biggest gripes I have about Restaurant Accessibility is the heavy bathroom doors. It’s just hard work to get into some bathrooms. But the bathroom at Vintage is the way all accessible bathrooms should be. And, of course, there were the grab bars and the TP was reachable. Etc. I also found out that the entire back bar area is ADA compliant.